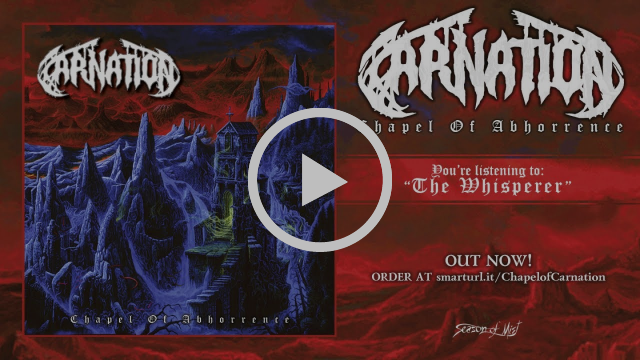 Belgian death metal outfit CARNATION have released a brand new music video for the song “Power Trip”. 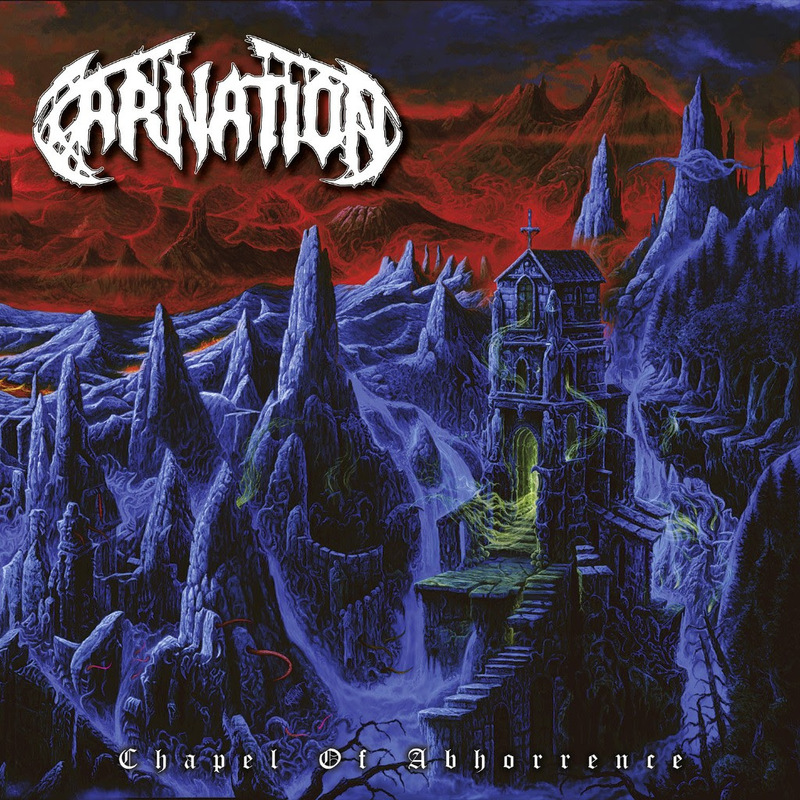 The song is taken from the band’s full length debut ‘Chapel of Abhorrence’, which was released via Season of Mist in August 2018. The video is available at the official Season of Mist Youtube channel and can be freely spread. 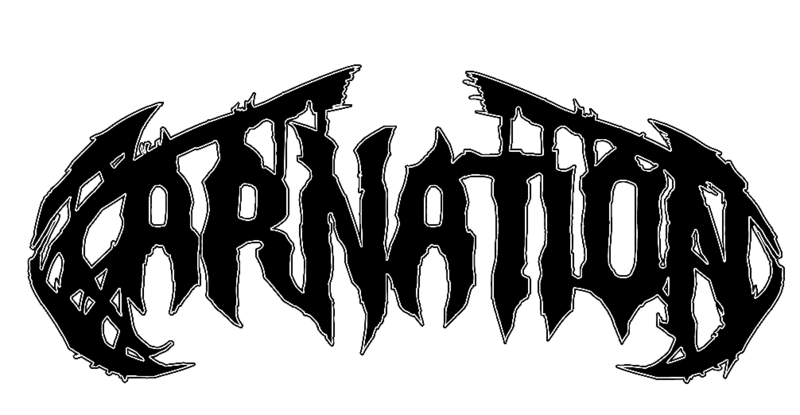 CARNATION are about to kick off their tour with label mates HIEROPHANTand DESERTED FEAR. The first show will take place in Hamburg (DE), on Thursday March 14. 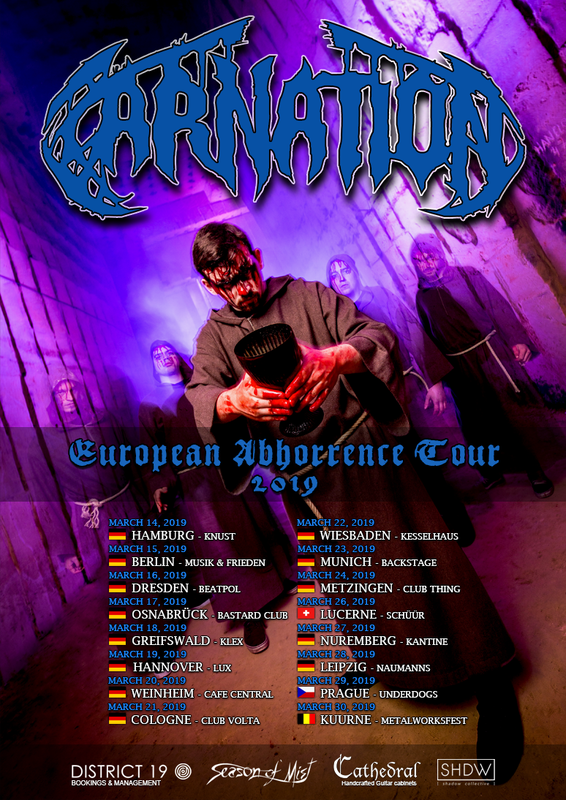 The full list of tour dates can be found below. 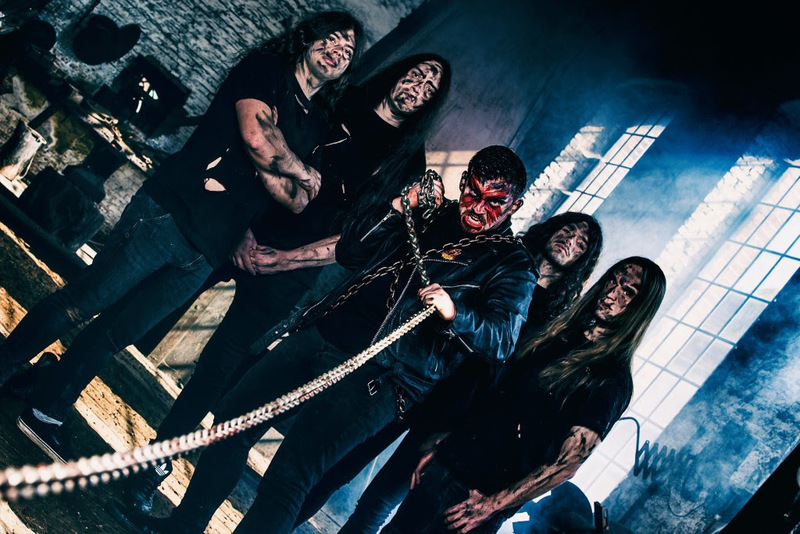 HEIDEVOLK – Premiere New Music Video! On Tour In April! 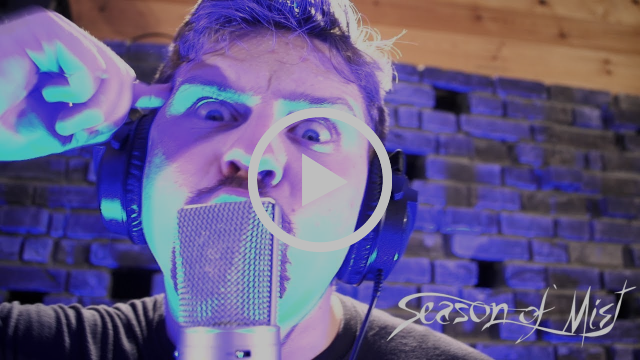 AMBERIAN DAWN Premiere New Music Video! Now On Tour With Lacuna Coil!